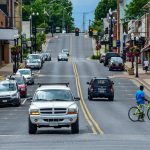 The Central Shenandoah Planning District Commission (CSPDC) assists our localities in meeting their transportation challenges by providing a comprehensive suite of transportation planning services to move projects from the concept stage to implementation. The CSPDC has the experience to develop plans and projects that balance the competing demands of busy transportation corridors — mobility, economic vitality, and quality of life — in order for our localities to meet their residents’ needs and thrive. The CSPDC transportation program receives funding from federal, state, and local sources to assist in regional transportation planning needs, and can often use these funds to offset the cost to localities for many requests. Transportation Studies. The CSPDC conducts a wide variety of transportation studies including, but not limited to: sub-area transportation studies to determine existing and projected locations of transportation deficiencies; corridor studies analyzing a variety of issues such as access management, failing levels of service, and safety hazards; and multimodal studies covering all types of transit, pedestrian, and bicycle concerns. Long Range Transportation Plans & Plan Updates. Through the Metropolitan Planning Organizations, the CSPDC develops Long-Range Transportation Plans that evaluate transportation issues at the regional level. Localities within the CSPDC region may also request assistance with developing their own long-range transportation plan or transportation portion of their comprehensive plan. Technical Assistance, Grant Writing & Administration. Localities can receive technical consultation on a wide-range of transportation planning issues, as well as guidance on grant writing and administration. Program administration, management, and operations assistance for public transit, transportation demand management, and bicycle and pedestrian programs are also a services provided by the CSPDC. On-Call Transportation Consulting. The CSPDC On-Call Consultant Program offers pre-qualified planning and engineering consultants that have successfully completed the Virginia Department of Transportation (VDOT) Pre-Award Audit and can perform a broad range of transportation-related services. Visit the On-Call Consultant Program page for more details. Metropolitan Transportation Planning. Federal regulations require that any US Census-designated urbanized area create and maintain an ongoing transportation planning process that is comprised of representatives of the local jurisdictions as well as state and federal transportation officials. The Metropolitan Planning Organizations is responsible for ensuring that expenditures on transportation projects and programs are based on local priorities and mutually agreed-upon goals using a comprehensive, cooperative, and continuing (3C) process. 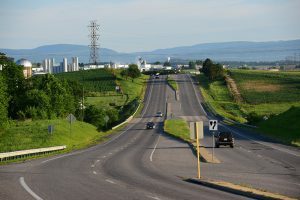 The CSPDC transportation program administers both the Harrisonburg-Rockingham Metropolitan Planning Organization (HRMPO) and the Staunton-Augusta-Waynesboro Metropolitan Planning Organization (SAWMPO), serving as staff and fiscal agent. SAWMPO. The SAWMPO was established in 2012 and includes the Cities of Staunton and Waynesboro and portions of Augusta County including Weyers Cave, Verona, Fishersville, and Stuarts Draft within its planning area. The SAWMPO completes a variety of transportation related planning activities throughout the region. Specific examples of projects, planning documents, and more information about the SAWMPO can be found on the SAWMPO website: www.sawmpo.org. Rural Transportation Planning.The CSPDC also administers a rural transportation planning program funded through a VDOT grant matched with local funds. Rural portions of Augusta and Rockingham Counties, all of Highland, Bath, and Rockbridge Counties, the eight rural towns, and the cities of Lexington and Buena Vista all participate in this program. 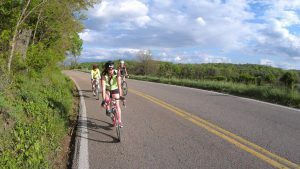 The program assists the rural localities with a variety of transportation planning services including grant writing, assistance with local comprehensive plans, small area studies, and bicycle and pedestrian planning. Title VI of the Civil Rights Act of 1964 provides that no person shall on the grounds of race, color, national origin, gender or disabilities be excluded from participation in, be denied the benefits of, or be subject to discrimination under any program or activity receiving Federal funds. Title VI requires recipients of Federal funds to provide information to the public regarding the recipient’s obligations under DOT’s Title VI regulations and apprise members of the public of the protections against discrimination afforded to them by Title VI. Please click the following for information regarding the Title VI Complaint Form, Non-Discrimination Statement,Notice Under the Americans with Disabilities Act, and Discrimination Complaint Procedures.